Welcome to the international atmosphere of Hotel Terminus: this comfortable hotel, located in ten fine monumental houses dating back to the 18th century, is just around the corner from everything, in the heart of Amsterdam. Whether you are traveling for business or for leisure, the hotelâ€™s professional and friendly staff aims to help you to enjoy your stay in this lively city. The Hotel Terminus is a Tourist hotel. Located in City Centre area. Shopping is within walking distance and the nightlife/restaurants are within walking distance from the hotel. 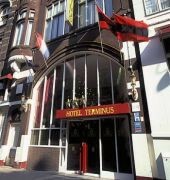 Descriptionclass="small" style="text-align: justify; font-size:11px;">Welcome to the international atmosphere of Hotel Terminus: this comfortable hotel, located in ten fine monumental houses dating back to the 18th century, is just around the corner from everything, in the heart of Amsterdam. Whether you are traveling for business or for leisure, the hotelâ€™s professional and friendly staff aims to help you to enjoy your stay in this lively city. The place is perfectly situated next to the station and a short walk into the centre of Beziers through a lovely park. We were welcomed and the staff were more than happy to let us into our room as it was ready to leave our bags, get changed and go and explore (despite their times provided on their site) - this was really helpful to get the most of our stay. The room is on the small side with a miniature bathroom but very clean with comfy bed and air con - which was really important for us in 37 degree heat. Although the Wi-Fi wasn't working the staff did go out of their way to be helpful and guide us where we wanted to go, despite our terrible French. Despite the walls being thin and hearing a lot of what is going on we slept well. In the evening we decided to have a quick beer before heading up to our room on return from dinner and were looked after and welcomed to relax in their small breakfast sitting area in reception. We wanted to explore more the next day and we were allowed to leave our bag with the staff for the day and collect later on - we felt these little things made a difference to our trip. We would stay here again as it was ideal for what we needed as a pit stop for a night away. For what it is priced at, we felt it was good value for money in comparison to other hotels in the area. Arrived with bikes which were locked up in a large garage. Friendly service. The rooms were very tight but good enough to sleep well. Breakfast was plenty. At our departure we received a couple of bottles of local wine, which made up for the rooms. 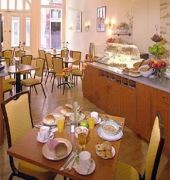 Very friendly staff ,good breakfast hotel looks a bit shabby but room comfortable and very clean. Just opposite railway station, we arrived very late in the evening but were sent a code for entry. Only negative no lift. I was pleased that although my train was late arriving and reception was closed they gave me the door key number to let myself in and an envelope was waiting for me with my room key. Great service!!! The hotel is very tired looking, more so now than a couple of years ago when I stayed in it. 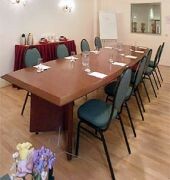 The room was quite spacious and clean with reasonable facilities and was quiet. Breakfast was not served until 07h30 dead on the dot and not before although a queue had begaun to form. Breakfats lady was the receptionist from the previous night. Nice breakfast room with a basic buffet. A brief overnighter in Beziers en route to Provence this hotel was adequate. Rather old and tired, could do with a complete makeover but it was okay for our purpose. Our room was on the 3rd floor and there are no lifts so it wasn't great having to climb the very old stairs but the room itself was perfectly adequate. Whilst new carpets and some fresh paint would be welcome the room itself was clean and a decent size and the bed was comfortable. The ensuite was again somewhat dated but it did the job. Pleasant staff and a very good price it did the job.